Design your own high quality acrylic NCT compliant legal number plates. 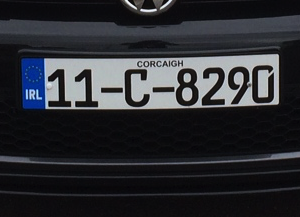 The exact rules regarding the special format of vehicle registration plates are set down in Irish law under the (SI 318/92 Vehicle Registration and Taxation Regulations 1992 and subsequently amended by SI 432/99 Vehicle Taxation (Amendment) Regulations 1999). 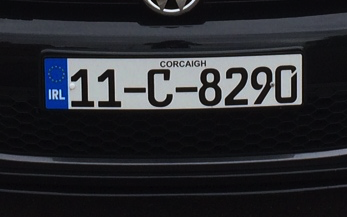 This law outlines the format, dimensions and technical specifications that must be displayed on registered vehicles in Ireland. The flag of the EU and the letters “IRL” must be placed on the left-hand side of the plate, the flag comprising 12 gold stars in a circle, the letters in white beneath it, all on a blue reflective background. No other numbers, letters, marks, etc., should appear on your registration plate. Vehicle registration plates must be affixed to the front and back of your vehicle and clearly visible at all times. 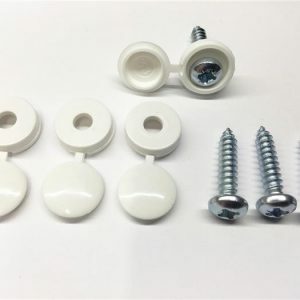 In situations where you are towing a trailer, caravan, etc., a duplicate of the registration plate must be affixed to the back of the trailer, caravan, etc. Vehicles with only 1 front wheel (i.e., motorcycles) are only required to carry the registration plate on the back of the vehicle. CC— a 1- or 2-character county identifier. SSSSSS — a 1- to 6-digit sequence number, starting with the first vehicle registered in the county that year.